Nastya was a promising piano prodigy. Then her hand was shattered along with her bright future. Even a prodigy cannot play the piano with one hand. Everything in her life is broken, except for the boy who did this to her. She intends to find him and make him feel her pain. There is nothing left in Josh's life to break and everyone knows it. He spends his life alone in his force field of grief, sadness, and apathy. He does not let anything close enough so he does not have to fear losing anything else. The only thing he has left is his talent to build things. But no matter how many elegant tables and chairs he builds, he does not think that he can build himself a new family. It turns out that the broken boy's force field cannot hold up when the girl who breaks everything shows up in his life. Prepare for the most intense session of book pushing ever seen on this blog. Sea of Tranquility took the standard broken boy meets broken girl to a whole new level of amazing. I will admit that I have a fetish for quiet and strong, yet surprisingly vulnerable guys. And Josh was the epitome of all these things. He cared for the people he loved, even when he knew how much of a risk love could be. Even though Nastya was broken, she was not a weak character. She was curious, sarcastic, funny, sad, stubborn, smart, and determined. Basically everything I love in a main character. She refused to surrender to the evil in the world, even after everything that happened to her. The romance was beautiful, fragile, and completely real. It started from a series of coincidences (or fate as I like to say) and slowly progressed through friendship, companionship, to romance. There were awkward moments, mundane moments, intense moments and unforgettably sweet moments that will leave a smile on your face for the rest of the day. The stark reality of this book is what really drew me into the plot. This book emphasized that bad things happen all of the time, and there is not always a hero to save the day. I think this is really uncommon in YA lit. Most of the time, a character defies nature and somehow saves the day. For better or worse, that is not what happened in this book. Not everything was unicorns and rainbows, but there was a little bit of Sunshine. The balance between good and bad; sad and happy; and laughing and crying were on point. The characters were full of flaws, which made me love them even more. I also loved how the secondary characters were highlighted along with the main characters. Everyone had a story, and it was told at sometime throughout the novel. Another thing that I loved about this book was the element of mystery. Normally, contemporaries are straight up love stories, but this one had elements of a psychological thriller. Throughout the novel, the readers slowly discover what happened to both Josh and Nastya that made them want to escape the real world. Millay's writing flowed off of the page and into my heart. It managed to be beautiful, honest, and blunt at the same time. Some of the words got stuck in my heart, and I do not think that they will be leaving anytime soon. The only thing that could have been improved was the pacing. The middle of the book lagged a little bit. There was a lull in action that I think could have been cut from the book. Honestly 400 pages was a little bit too much for this story. Overall, Sea of Tranquility is a unique, touching, and emotional story about how a broken boy and a broken girl help piece each other together again. I would recommend this to anyone who likes to read contemporaries, stories with raw emotion, characters that will walk into your heart and refuse to leave, and to anyone who has ever felt broken and alone. 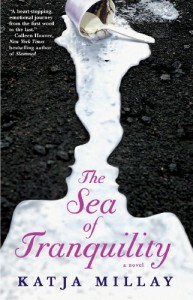 I give Sea of Tranquility five stars. 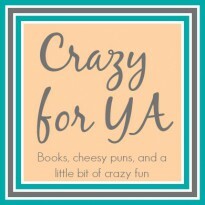 This review was originally posted on my main blog Crazy for YA.